Ford cars may soon be able park all by themselves and also avoid obstacles while driving. Gunning to bring these technologies to production, Ford has revealed prototypes of its new Fully Assisted Parking and Obstacle Avoidance systems. The Fully Assisted Parking system is a next-generation push-button parking technology. It can be operated by the driver from outside by remote control and it takes control of the steering, gear selection, forward and reverse motion. 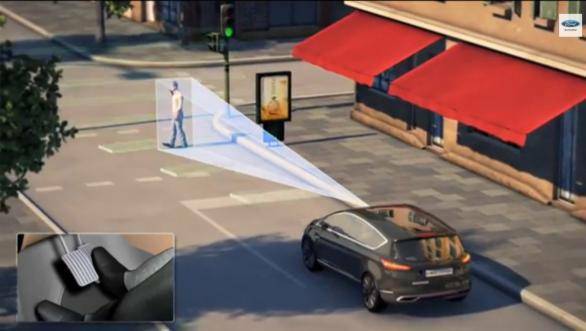 This was developed using existing technologies like Active Park Assist and Ford PowerShift transmission on Ford Focus. It will allow a vehicle to be parked even in a cramped space and then also drive out of it at the touch of a button. "The future for Ford means developing innovative products and technologies  including Fully Assisted Parking Aid and Obstacle Avoidance  that help deliver a safer, more convenient, more desirable, more personalised and greener driving and ownership experience," said Barb Samardzich, vice president of product development, Ford of Europe.